New research from LIMNRA. Visit here. Consumer debt is at an all-time high. As of the fourth quarter of 2017, the total household consumer debt reached $13.2 trillion.1 LIMRA finds most American workers – about 7 in 10 – currently hold some type of non-mortgage debt and it is negatively affecting their confidence and ability to save for retirement. According to a LIMRA survey, just 31 percent of American workers with non-mortgage debt reported they were saving for retirement outside the workplace compared to 69 percent of workers without non-mortgage debt. 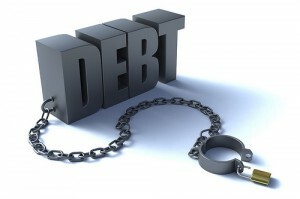 Non-mortgage debt includes car loans, student loans, credit card debt and home equity loans. When broken down by generation, LIMRA research finds Millennials with non-mortgage debt are the least likely to be saving for retirement outside of the workplace. Only 20 percent of Millennials and 34 percent of Generation X that have non-mortgage debt save for retirement outside of where they work. That percentage increases to 55 percent for Baby Boomers. Millennials and Generation X workers might feel less motivated to save outside the workplace because of their non-mortgage debts. Non-mortgage debt not only increases negative feelings towards saving for retirement, but it also impacts American workers’ sentiment about debt. LIMRA finds 6 in 10 American workers with non-mortgage debt say paying down debt negatively impacts their efforts to save for retirement and half feel they are spending too much of their annual income paying down debt. This is especially true for Millennials with non-mortgage debt. Fifty-nine percent of Millennials believe they are spending too much of their income paying down their non-mortgage debt. This percentage decreases as the generations age as only 46 percent of Generation X and 39 percent of Baby Boomers felt the same. To negate the impact of non-mortgage debt, advisors can offer debt management services to their clients that balance debt repayment with saving for retirement regardless of their debt levels. These services can also include client-targeted programs to map out short- and long-term debt repayment to give clients a better handle on the implications of their debt – especially on their retirement. Education can also help customers manage their financial obligations. Previous LIMRA research finds about half of consumers are interested in financial education – specifically education on debt reduction, retirement planning and general budgeting. If saving outside the workplace makes sense for workers, learning more about individual retirement accounts (IRAs) may increase their likelihood to do so. Fifty-one percent of Millennials, 35 percent of Generation X, and 20 percent of Baby Boomers say they don’t understand enough about IRAs to contribute to one. For more information on the impact of non-mortgage debt on retirement, LIMRA members are invited to read Danger Ahead? Impact of Debt on Retirement Saving. Members of the media can reach out to LIMRA’s media contacts for additional information. 1 Federal Reserve Bank of New York, Center for Microeconomic Data, https://www.newyorkfed.org/microeconomics/hhdc.html, March 23, 2018.